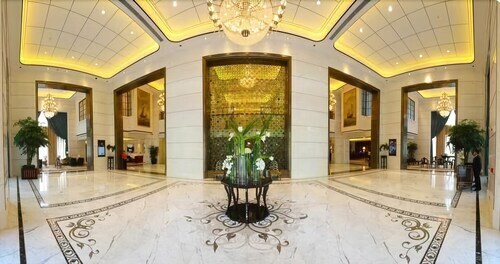 Located in Linhai, this hotel is within 2 mi (3 km) of Jiangnan Great Wall, Linhai Square, and Linhai Stadium. Linhai Ancient Great Wall and Linhai the Confucius Temple are also within 3 mi (5 km). 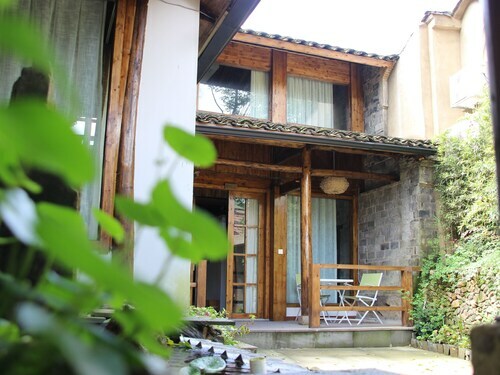 Located in Linhai, this hotel is within 1 mi (2 km) of Jiangnan Great Wall and Linhai Square. Linhai Ancient Great Wall and Linhai the Confucius Temple are also within 2 mi (3 km). 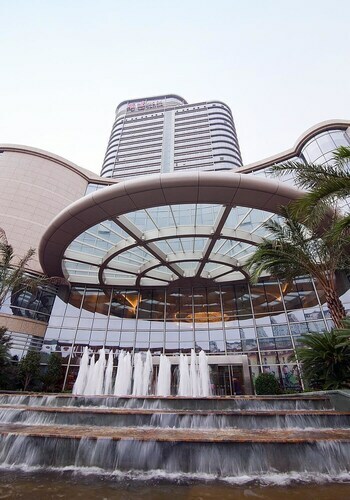 Located in Linhai, this hotel is within a 10-minute walk of Linhai Square and Jiangnan Great Wall. Linhai Ancient Great Wall and Linhai the Confucius Temple are also within 1 mi (2 km). 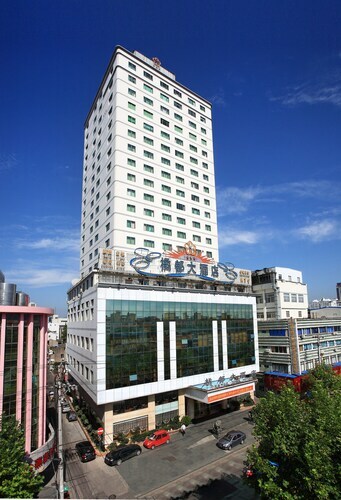 Located in Linhai, this hotel is within 1 mi (2 km) of Linhai the Confucius Temple and Linhai Square. Linhai Ancient Great Wall and Jiangnan Great Wall are also within 2 mi (3 km). This guesthouse is located in Taizhou (Linhai), where regional attractions include Niutoushan Reservoir and Temple of Heaven. 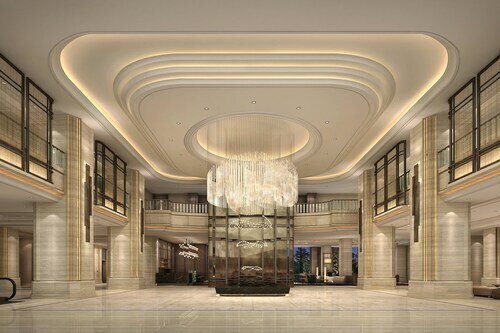 Situated in Taizhou, this hotel is 2.5 mi (4.1 km) from Jiufeng Park of Huangyan and within 12 mi (20 km) of Taizhou Stadium and Riverside Park. Kiyonaga Temple is 12.5 mi (20 km) away. 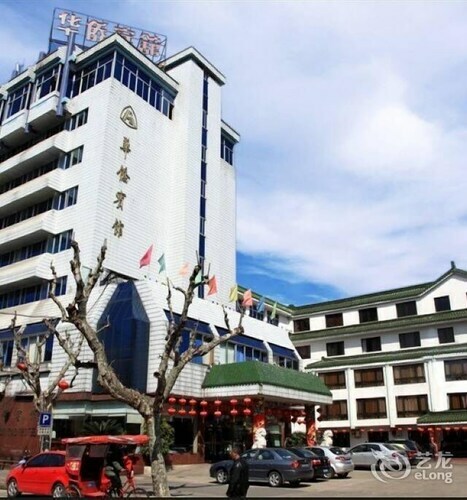 Situated in Taizhou, this hotel is 1.4 mi (2.3 km) from Jiufeng Park of Huangyan and within 12 mi (20 km) of Taizhou Stadium and Riverside Park. Kiyonaga Temple is 11.6 mi (18.7 km) away. 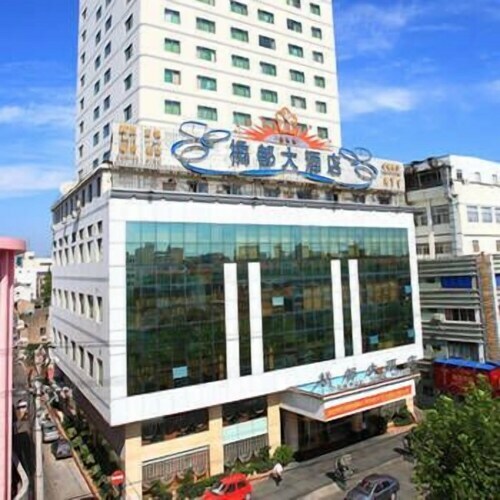 Situated in Taizhou, this hotel is 1 mi (1.6 km) from Jiufeng Park of Huangyan and within 12 mi (20 km) of Taizhou Stadium and Riverside Park. Kiyonaga Temple is 11.7 mi (18.8 km) away. Location, location, location—the mantra is as true in travel as it is in real estate. If you've ever stayed in the boonies, trekked in to see the sights or attend that conference, and trekked out again at the end of a long day or an even longer night, you know exactly what we're talking about. 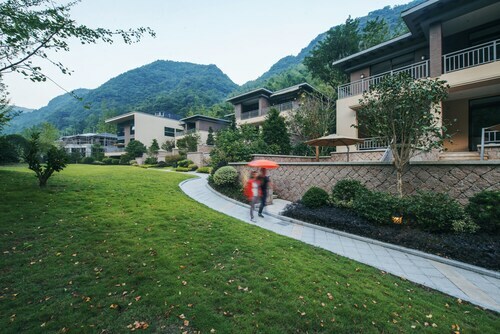 You know that staying in one of the hotels close to LinHaiShi GaoJi ZhiYe ZhongXue ZhanTing will put you in the middle of the action, and that there's no better place to be when you're away from home. Why miss hours of sightseeing or precious sleep while fellow tourists or colleagues live it up in the destination you'd been waiting so long to see? 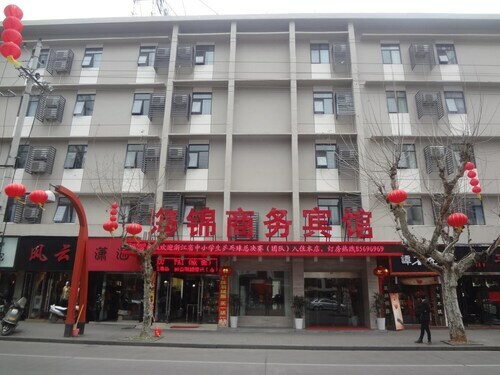 But never fear, dear traveller: LinHaiShi GaoJi ZhiYe ZhongXue ZhanTing accommodation won’t break the bank. 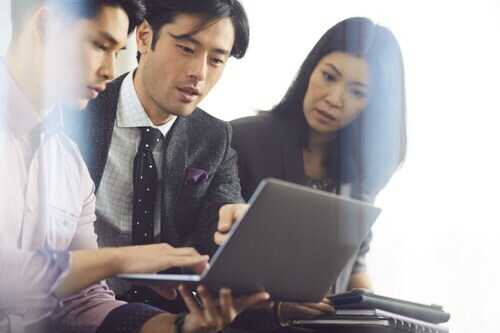 With Wotif bringing you the best deals in travel, you can book accommodation near LinHaiShi GaoJi ZhiYe ZhongXue ZhanTing without blowing your budget, and the money you'll save by snagging that central location at a cheap rate will pay you back in spades. Explore the neighbourhood. Hang with the locals. Let the hotel concierge recommend the best "extras" you denied yourself last time you travelled—that great local restaurant or bar, the expert-guided tour, or the local haunt tourists don't usually know about. 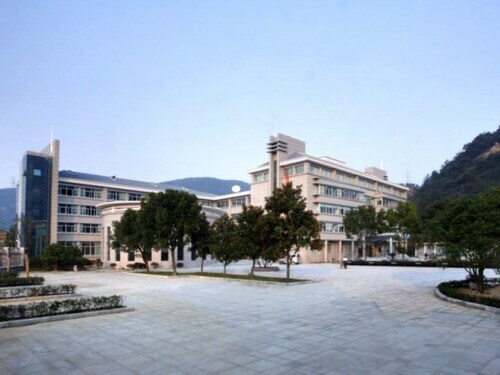 How Much is a Hotel Room in LinHaiShi GaoJi ZhiYe ZhongXue ZhanTing? 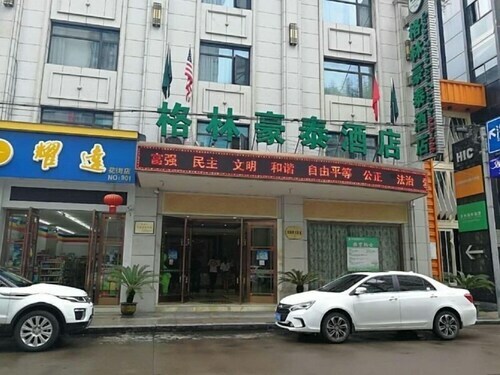 Hotels in LinHaiShi GaoJi ZhiYe ZhongXue ZhanTing start at AU$25 per night. Prices and availability subject to change. Additional terms may apply. Bathroom facilities excellent but be careful with the hot water - it is too hot. Too slow checking in and checking out. Place a deposit hold on your credit card and could be a problem if you are doing a lot of travel.